Little by little the appropriate amount from Shake well, let soften evenly to the skin. 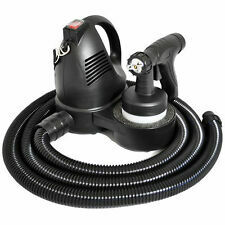 Not only japan's trend products, we also carry rare and hard to find products. 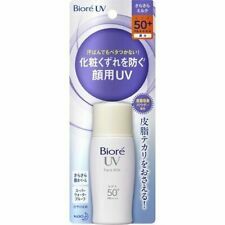 Kao BIORE UV. 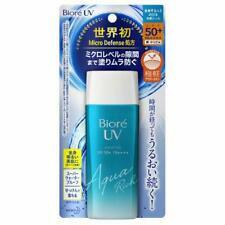 SPF50 PA . Aqua Rich Watery Essence Sunscreen. Do not confuse this item is 2014 model. Trending at C $12.68eBay determines this price through a machine-learned model of the product's sale prices within the last 90 days. 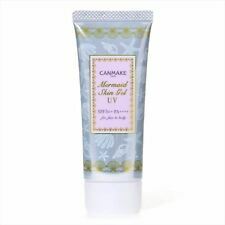 UV Sunscreen SPF50 PA 40 g. Type: Sunscreen UV GEL. What is PA value. that makes your skin red and tingy. 100% Authentic! Size: 40 g <1.4 oz>. · SPF value 10 → 200 minutes (3 hours 20 minutes) · · within the sunshine hours. COSRX ALOE SOOTHING SUN CREAM. SPF50 PA , 50ml. Aloe Soothing Sun Cream is a daily sun cream which includes 5500pm of aloe leaf extract and manages to block ultraviolet ray. Aloe Soothing Sun Cream is a mix of botanical ingredient and. Trending at C $13.63eBay determines this price through a machine-learned model of the product's sale prices within the last 90 days. Trending at C $13.22eBay determines this price through a machine-learned model of the product's sale prices within the last 90 days. Even stronger UV ray blocking. Protects the skin comfortably from UV ray by upgrading to a formula that efficiently blocks the UVA. The mild skin safe formula tested with skin stimulation test provides comfortable sun care to sensitive skin. 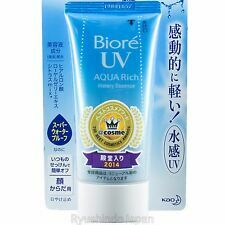 Kao BIORE UV. 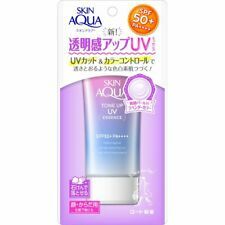 SPF50 PA . Aqua Rich Watery Gel Sunscreen. Super Waterproof. [CATRIN] Natural 100 Mineral SunKill RX SPF46 PA 12g (Sunblock Sunscreen). ModelNatural 100 Mineral SunKill RX. ✦ Sunscreen & BB Cream. 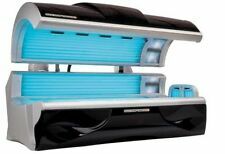 - Creates a thin mineral layer over the skin to deflect and scatter UV rays to protect skin. 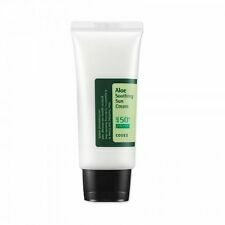 Aloe Soothing Sun Cream is a mix of botanical ingredient and. 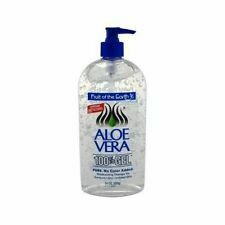 Formulated with 5,500ppm of Aloe Leaf Extract. Aloe Arborescens Leaf Extract, Dipotassium Glycyrrhizate, Tocopheryl Acetate. This sun cream has light-weight texture, which absorbs quickly and leaves skin feeling intensely hydrated. Trending at C $19.29eBay determines this price through a machine-learned model of the product's sale prices within the last 90 days. SPF50 PA 50ml. Missha All Around Safe Block. Aqua Sun Gel. Powerful UV protection system by double layer against water and sweat. As a final step in skin care. Antozone-Rose & Thanakha extracts that sooth the skin irritated from strong sun light. SPF 50 PA 75ml. Blue ray sun gel. protect your skin even from the exposure to the strongest sunlight and UV ray. Butylene Glycol, Xylitylglucoside, Sodium Palmitoyl Proline, Rubus Arcticus Callus Extract, Anhydroxylitol. Last step of basic care, apply right amount gently on the skin and tap lightly for absorption. Apply gently on the neck, arms, legs and sun exposed areas. 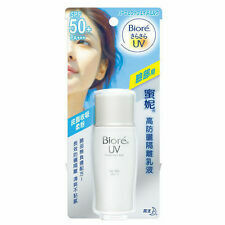 Soft Airy UV Essence SPF50 PA 80mL. Asian Secrets of Beauty. Features: Super fresh, non-sticky feeling. Matt effect Sunscreen. Health & Beauty. Daily Life. Skin TypeAll Skin Types. Diet Light. Use: Apply 30 minutes before sun exposure. Repeat every 2 hours and after swimming. At the last step of your skin care routine, apply needed amount and gently pat until full absorbed. If sun exposure continues, reapply every few hours. Made in Korea. All skin Type. Anthemis Nobilis Flower Oil, Caprylyl Glycol, Ethylhexylglycerin. ENPRANI ONE-TOUCH Sun Powder EX SPF 50 PA for All Skin Type 10g (0.35 oz). - Skin Oily Prevention: ZINC PCA ingredient make skin oily prevention and pores cover, so you can have transparent and smooth skin. Added plants ingredient which protects the skin. It also has a natural tone-up effect. In the last step of the skin care, take an appropriate amount, apply on the skin. All products in 'All-around Safe Black' are tested for skin irritation. Speed 2 to 5 Weeks Up to 1 Week. Beet root Aliantoin Vitamin C Resveratrol EGCG. - SPF 50 PA .
How to use. Vegetability: Made of dwarf ground sedge extract, aloe vera, portulaca oleracea extract to protect skin from UV safely. -Aloe vera, Cactus, & Hyaluronic acid to hydrate skin. A water resistant sunscreen that is smooth to the touch without being sticky. 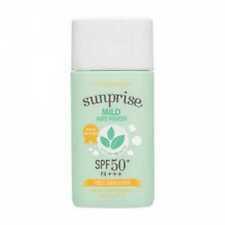 [A`PIEU] MadecassoSide Sun Cream SPF39, PA . Low-stimulating madecassoside sun cream protects the sensitive skin mildly and comfortably from external hazards and UV rays. Freshly absorbed great for next step - base make-up.